Which is the best web-based Usenet provider? Not every Usenet provider requires a separate newsreader app (sometimes called a newsreader app or Usenet browser) to download newsgroups. Instead of installing and using a separate newsreader app to search newsgroups and grab files, these web-based newsgroup providers allow you to do it all from within your web browser. But what are the benefits of web-based Usenet? Well, for starters, it provides you the flexibility of accessing newsgroups from more devices – anything with a web browser on it whether desktop computer, laptop, tablet or even your smartphone. Relying on your web browser means that there is also one less program to download and install. A web-based Usenet provider can be a great option for newer users – or those who simply want to avoid some of the fuss involved with Usenet such as configuring a newsreader or dealing with multi-part files. Putting EasyNews at the top of the list is pretty much a no-brainer. Not only is it one of the best web-based Usenet providers, it’s one of the best providers period. In fact, it’s among Cogipas’ favorite newsgroup providers. It’s a great option for new and veteran Usenet users alike. For example, if you eventually “graduate” to normal (NNTP) Usenet access with a standalone newsreader app you can definitely do that with EasyNews. The service lets you add unlimited NNTP access to your account through its Add-Ons allowing you to use both ways to access online newsgroups. EasyNews Big Gig plan gives you both right from the get go, but is a bit pricey for those on a tight budget. Sign up for free today and give it a try! The next entry on our list, nzblord, is quite the step down from EasyNews in terms of features. Their service is very simple, allowing users to search for and download newsgroup files directly from their web browser – but not much else. Nzblord is more of a web based NZB downloader for Usenet newsgroups than a true web-based Usenet newsreader. You’ll need to know how NZB files work, but that’s not hard. Retention is pretty low at 700 days and speeds are capped at a maximum of 15Mb/s. 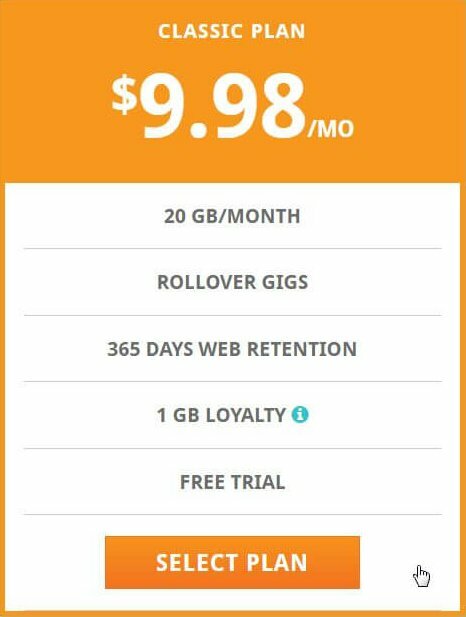 That being said, prices are decent, ranging from $8.23 per month ($98.75/yr) or $14.95 month-to-month. And if you’re just looking for a simple service with a simple setup, nzblord can be a good option. Right now, nzblord has a trial offer for $6.95. Sign up today and see what they’re all about. In the third and final spot on our list, we find GoGoUsenet. And like nzblord, this one is fairly barebones, offering a web-based newsreader, unlimited downloads, and not much else. Unfortunately, they don’t give clear info on retention or speeds, though in our experience they are comparable to nzblord in that department. You can see the list of newsgroups they carry right on their website. There is also a keyword search feature. Prices start at $19.95 for the first month, but drop to just $14.95 for each month after. At that price point, the main attraction would be that they provide more data than EasyNews’ similarly priced plans. And of course, some people just prefer the simplicity and no-fuss setup. Try GoGoUsenet today and see for yourself. Which are better: web-based Usenet or a standalone newsreader with traditional (NNTP) access? Well, that ultimately comes down to personal preference, since there are advantages of each. Online Usenet readers provide convenience, while normal newsreaders are more full-featured. As you might have gathered, web-based newsreaders are not the norm. So while there are definitely some very good choices in that arena, like EasyNews above, your options really open up if you’re willing to work with a standalone newsreader. We have already outlined some of our favorite standalone newsreader apps. There’s also a third option. A few Usenet providers offer a free (included) newsreader app specifically tailored for their and only their Usenet servers. These bundled newsreaders are just as easy to set-up up as web-based Usenet newsreaders – in fact, they are pre-configured so there is nothing for you to fiddle with – yet as full featured as standalone newsreader apps. Newshosting and Giganews both offer free, bundled Usenet browser newsreaders with their Usenet plans. Which way to access Usenet newsgroups will you choose?